Graduate unemployment levels down – why is that not good news? Posted 9th September 2015 & filed under Blog, Education, Employment. Miriam Broeks, who is working at IF under the Oxford Internship scheme, questions the spin put on the latest figures. Last week the Higher Education Statistics Agency (HESA) released a report with findings from their Destination of Leavers from Higher Education (DLHE) survey. The DLHE showed that graduate unemployment has returned to pre-recession levels. While this sounds like good news for university leavers entering the labour market, the reality may be somewhat different. The DLHE survey found that the unemployment rate for 2011 graduates currently stands at 2.6%, equal to 2005 graduate unemployment levels. According to Jo Johnson, Minister of State for Universities and Science, these figures “are a further welcome sign that so many graduates enjoy high levels of employment”. However, the devil is in the detail. The bad news is that there are currently 2.7% fewer graduates in full-time work compared to the 76.1% of 2005 leavers, and there are 8.2% 2011 graduates in part-time jobs rather than full-time positions. That’s 2% more than in 2005. 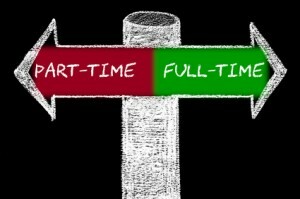 The move from full-time graduate jobs to part-time graduate jobs should be of great concern to policy-makers. 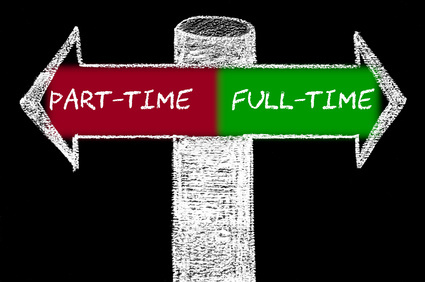 2012 graduates in part-time jobs are likely to be earning below the £21,000 repayment threshold set by the government, as part-time employees tend to earn lower salaries. This means less money will be going back into government funds and may explain why policymakers have chosen to freeze the repayment threshold. The effect will be to pull increasing numbers of lower-earning graduates into repayment in the coming years. All this in spite of a report released by the Department of Business and Statistics earlier this year that found that “graduate earnings have decreased from around 55% to 45% higher than non-graduate earnings between 2006 and 2015”. This 10% reduction, together with the narrowing of the earnings gap between graduates and non-graduates, shows that the graduate earnings premium is lower now than in pre-recession years. The HESA results give figures only for graduates in 2011. This means that there is a serious lag in available statistics, and graduate unemployment may well be substantially worse in 2015. HESA’s results apply to students who finished their studies in 2011. Students from this and previous cohorts fall under the pre-2012 student loan repayment criteria (Plan 1), so their repayment interest rate is currently fixed at 0.9%. However, cohorts who started their studies after 1 September 2012 will face higher repayment costs (Plan 2), which is determined by the Retail Prices Index (RPI) plus up to 3%. Due to changing inflation levels, this interest rate is likely to increase over time. Will more students stay on in education? The proportion of 2011 graduates currently in further education has increased by 0.5% since 2005, and now stands at 6%. It remains to be seen whether this trend will continue, and it is necessary to better understand why graduates are increasingly turning to further study instead of entering the workforce. Some may be using further study as a way in which to avoid under-employment after graduation. Others may be choosing to make themselves stand out from the crowd by gaining further qualifications. For the new system to work, graduates must be able to earn enough on entering the workforce to be able to start repaying their student loans. The increasing incidence of part-time employment for graduates will not help this to happen, and almost three-quarters of graduates will have part of their debt written off. According to findings by the Institute for Fiscal Studies (IFS), these changes will affect middle-income students the most. The IFS calculates that freezing the repayment threshold for five years in combination with the withdrawal of maintenance grants will mean that a graduate with median earnings will ultimately pay “over £6,000 more in total in 2016 money” than under the previous system. The increase in graduate employment rates does not mean an improved situation for current and future graduates. Instead, given the higher loans and decreasing repayment threshold (in real terms) to which they are subjected, together with an uncertain future earnings premium, graduates run the risk of becoming trapped in a cycle of low pay, high student loan repayments and the inability to start saving for the future.